Amazon is scheduled to announce the location for its second headquarters, HQ2, by year’s end, but according to a Wall Street Journal article, there’s been a change of plans. Instead of selecting one of the 20 metropolitan areas on the shortlist for the $5 billion project, the e-commerce titan will reportedly select two: New York City and Northern Virginia. Per the WSJ article, Amazon is planning to divide HQ2 between Long Island City, N.Y., in the Queens borough of New York City, and Crystal City, Va., a suburb of Washington, D.C. It will be an equal split with each area getting a facility half the size of the planned 8.1 million-square-foot headquarters and half the 50,000 jobs that will come with it. The metropolitan areas that share the HQ2 project will experience big changes in their respective commercial real estate markets. The impact on the office sector will remain unclear until Amazon decides if it will build new facilities or set up shop in existing buildings or pursue a combination of both options. However, there will be some clear winners. The multifamily sector in Queens and Crystal City would certainly benefit from HQ2. 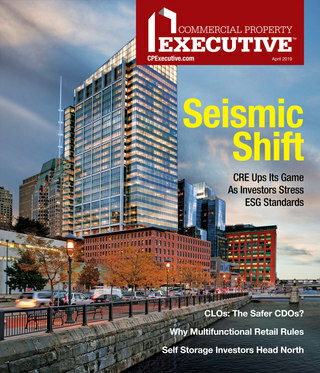 “While not all of the 25,000ish proposed employees will live in the exact submarket HQ2 is in, a large enough portion to boost absorption will,” Chris Muoio, senior quantitative strategist with commercial real estate marketplace Ten-X Commercial, told CPE. In the third quarter of 2018, the overall apartment occupancy rate was 96.2 percent in Crystal City and 96.1 percent across Northern Virginia, according to a report by NKF. 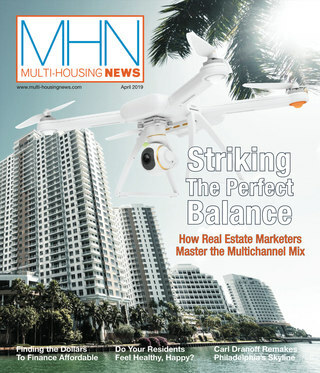 With the market already so tight, further demand would prompt additional multifamily development. It’s all still speculation. While rumor has it that New York and Northern Virginia will each sponsor an HQ2 campus, Amazon has not yet confirmed any details. “Things happen in the last-minute stage, things can fall out,” Hess said, basing his assertion on the bevy of major headquarters projects he’s been involved with during his three-decade-long career. Other shortlisted metros like Dallas, he suggested, could leapfrog over the purported frontrunners.